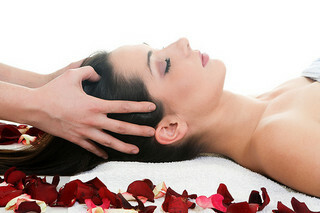 All massages are carried out using a blend of essential oils – please advise therapist of any allergies. This unique flowing Hawaiian massage is the ultimate in relaxation, using deeply relaxing flowing strokes the therapist moves continuously, ranging over the whole body, relieving tensions in muscles and soul in a warm and comforting environment. 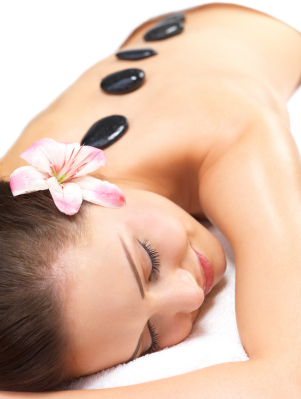 A truly luxurious and relaxing treatment, using warm volcanic stones to sooth away aches and pains, deep tissue and muscle strain. More than a massage this experience brings body and mind into harmony in a unique way, leaving you totally relaxed and pampered. Available as a Half Body Treatment to relax and soothe the upper body, or a Full Body Treatment - A total head to toe therapy. This holistic therapy applied gently through pressure points in the feet, corresponding to areas in the body, releases energy, enables blood flow, nourishes tissue. Reflexology has been found to be helpful in alleviating digestive problems, relieving migraine, reducing back pain, beneficial to many ailments, the treatment aids in relaxation, bringing the body back into harmony. Reiki is a Japanese term, Rei meaning natural spirit, Ki meaning Life force, the energy contained in us all. Through the therapist, Reiki transfers healing, balancing life energy, promoting the mind and body’s natural ability to heal itself. Reiki influences mood, healing many issues, physical, mental and spiritual, it can be most valuable in releasing stored emotions helping you to move on from difficulties in your life.